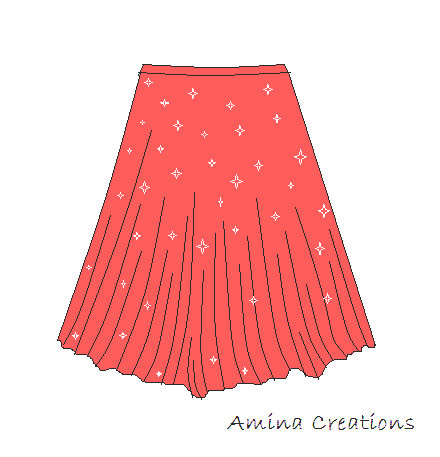 A full flare umbrella skirt is a skirt which opens into a full circle when you spin. It is usually stitched with thin, soft and light weight fabrics as it has volume. A full flare umbrella cut skirt requires about 3 and 1/2 metres of cloth. 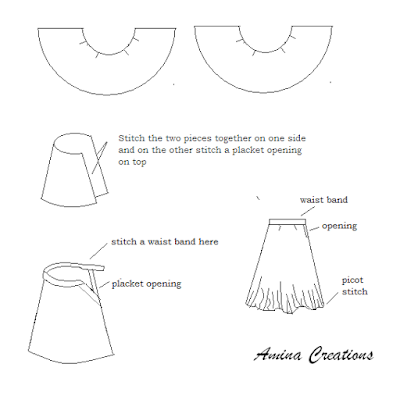 The method of cutting and stitching a full flare umbrella cut skirt is discussed here. Approximate measurements are given in brackets for your reference. You can measure your own waist and decide on how long you want your skirt to be. Take a big width cloth of about 3 ½ metres long. Fold the cloth as shown in the figure and mark the following measurements on the cloth. You will get one semicircle.In the same way fold again and cut another semi circle. These two semi circle pieces have to be joined at the sides later to form a full flare skirt. Stitch on the reverse on one side and on the other side, stitch leaving an opening of about 4” and finish it using the placket opening . Cut a strip of cloth of 5” breadth and length = waist length measured from the stitched skirt +3”. Fold it into half such that you have 2 ½” of cloth then fold ½” again and stitch to the waist making sure ½” of the waist part of the skirt is sandwiched between the two ends of the band. Continue stitching the extra part of the waist band till you reach the ends. Fold ½” inwards at the ends and stitch on top. 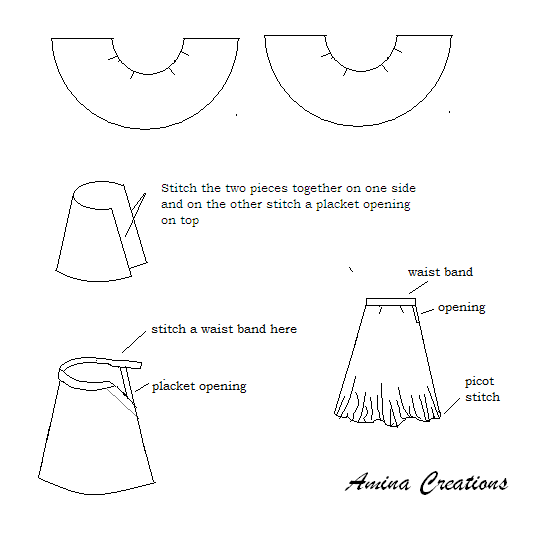 Stitch buttons or hooks at the waist band ends at the opening and do picot stitch at the bottom of the skirt. Your skirt is now ready. That looks so easy to make. Thanks for the tutorial!